You must be a member of the Cape Town Travel and Outdoor Group to attend this activity. Would you like to join this group? 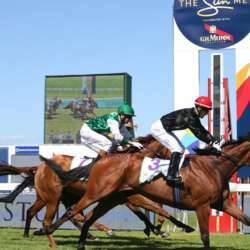 Africa's Richest Race Day, The Sun Met Celebrated with Mumm, returns to Cape Town on the 26th of January Protected content . Precious Metals set the scene for the day as Kenilworth Racecourse will transform into the city's most glittering runway, adorned with gold, copper and platinum. Inspired by the riches of the earth, the theme is a celebration of Africa's most luxurious gems with racing enthusiasts and fashionistas expected to don their most opulent outfits. In contrast to last year's theme, which brought Kenilworth Racecourse to life in shweshwe textures and African-inspired prints, the Protected content Met promises to be just as glamorous on a day when elite horse-racing meets high-end fashion. Whether you go bold in gold, rock the red carpet in copper or parade in platinum, get ready for a dazzling day at the races.